From hanging around outside Abbey Road to catch a glimpse of the Fab Four, to photographing Led Zeppelin, Blondie, Oasis, Amy Winehouse and Leonard Cohen, Jill Furmanovsky’s career has seen her capture some of the biggest artists of the last 40 years. Jill will share the story of how her career started and developed, the stories behind her iconic images, backstage anecdotes and insight into the kit she uses to capture her seminal shots. 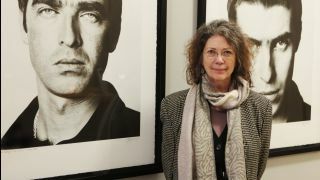 As well as photographing dozens of household names like Pink Floyd, Bob Marley, Eric Clapton, The Police, The Pretenders and Bob Dylan, Jill has also directed videos for Oasis and The Pretenders as well as founding Rockarchive. Jill will take to The Photography Show’s Superstage at 1pm on Sunday 19th March, as part of the four day imaging event, which runs 18-21 March at Birmingham’s NEC, UK. For more information, or to book tickets, head over to www.photographyshow.com.